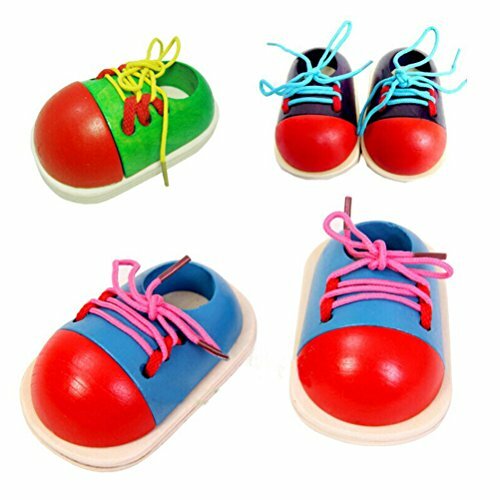 Here is my selection of top toys that help to teach your toddlers and young children to tie their shoelaces. 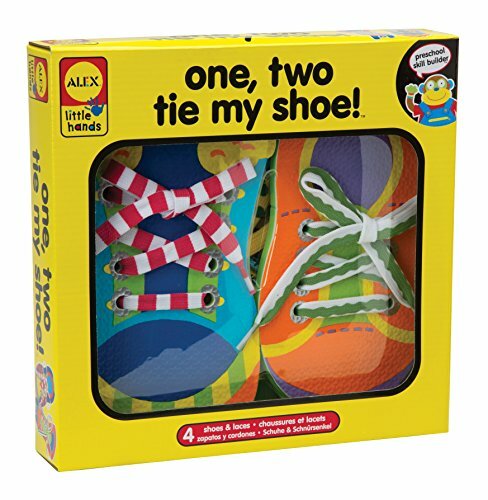 Shoe tying is a very difficult skill for little hands to master, but these toys will help the learning process making it seem like playtime fun. A little time every day playing with these toys will help your youngster to master the art of lace tying and encourage imaginative play. 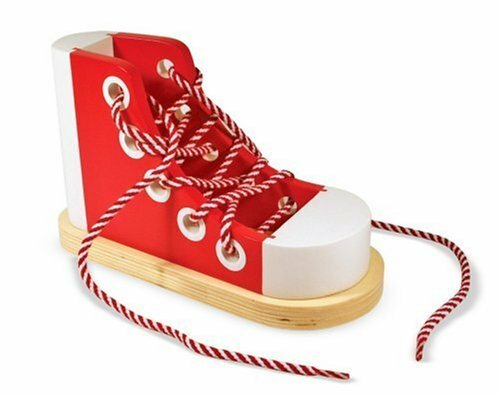 I particularly like the “I can tie my shoe board” this has both left and right “feet” and comes with instructions written right next to the shoes to refer to. I found this helpful article that explains some easy ways and tips on how to teach shoe tying. Teaching your children to tie their shoelaces can be a frustrating process. It doesn’t have to be a difficult process, however. Here are some tips on how to making the process easier for both you and your child. Learning to tie shoes takes a lot of practice. For this reason, you may want to set aside some time each day. If your child becomes upset or bored, it is time to end the practice session. 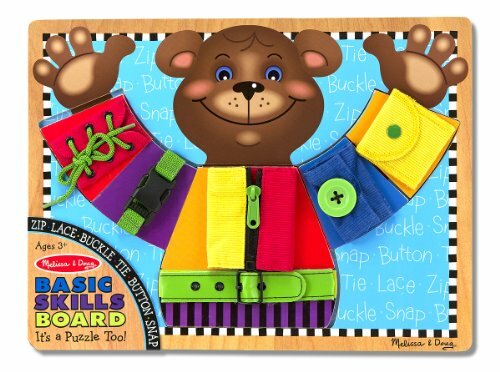 Remember, children learn best when new concepts are presented in a fun way! You can use a pair of old shoes for practice. Some children enjoy decorating their practice shoes with glitter and paint. If your child likes crafts, this may motivate her. 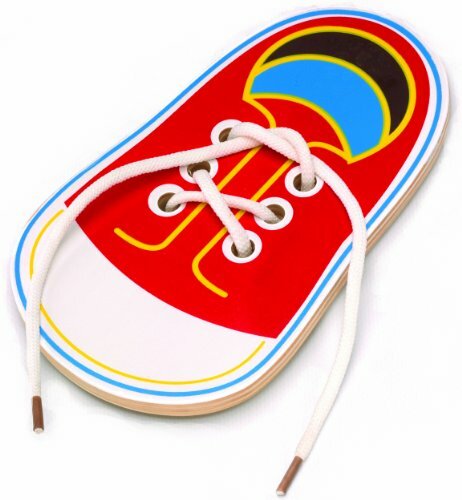 After you have found a pair of old shoes, you and your child should go shopping for shoelaces. It is important to get two totally different colored or patterned shoelaces. 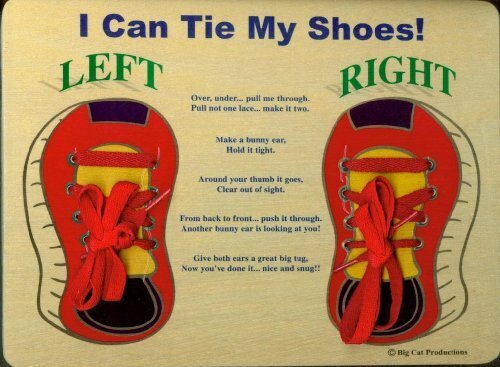 This will help your child to differentiate between the left shoelace and the right shoelace. For example, you may want to use an orange shoelace for the left lace and a blue lace for the right shoelace. Lace both the left shoe and the right shoe with different colored laces. 1. Once upon a time, two bunnies lived in a forest. The forest had a hard dirt floor. After saying this, cross the orange shoelace over the right shoelace to make a large “X”. 2. Each fall, beautiful orange leaves would float between the trees down to the forest floor. After saying this, tuck the orange shoelace in the bottom space of the “X”. Then pull the laces taut. 3. Each spring, the two little bunnies would come out of their rabbit hole to see all the flowers. After saying this, make a big loop with both the left and right shoelaces. These should look like bunny ears. 4. Bunnies love to hug each other! After saying that, cross the blue loop over the orange loop. 5. Blue bunny is very shy and likes to hide in his hole! After saying that, tuck the blue loop into the space under the two shoelaces. Then, pull the laces taut. The “bunny ears” method is one of the easiest methods to use when teaching children to tie their laces. Meanwhile, the bunny story will help most children to remember the steps in the process. 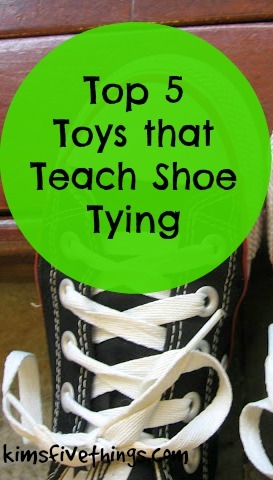 By using these tips, you should be able to teach your child to tie his shoelaces in a short amount of time! 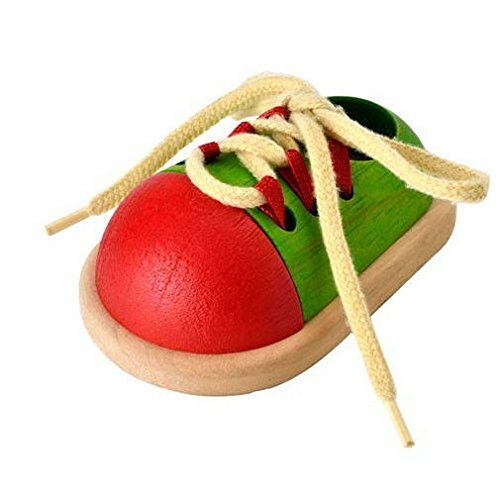 This Article was written by Alex from Pretty-Small-Shoes.com, we are the experts on shoes, small shoes and everything footwear. Here is a really cute video of a young girl teaching you how to tie your shoe laces.